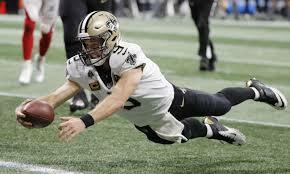 LFFL  – Week 3 Recap: Brees-magic!! Grip Alert, Part 1: Quite a shootout between two former champs; sometimes luck is all you need as 4th and 20 gets into the win column with the 98.3-92.4 victory over now 0-3 Monsoon. Key Observation: SBarkley looks like the real deal for a real sh*tty NYG team. Grip Alert, Part 2: The 2016 champ is on grip alert, falling to 0-3 with a close game but loss by 12.8 pts to KFC. Zeke – where out thou? Key Observation: CLE D with 15 pts? What year is this? Rolling with Ma-homies: A ‘quiet’ day for Mr. Mahomes with only 28.2 pts, but with TGurley, MEvans, and APeterson all putting up over 20 pts, S40FM moves to 2-1 with the win over H.Y.C. Key Observation: TBrady where are you? You know as soon as H.Y.C. starts Big Ben that Brady will go off. Crappie Report: I don’t collect stats on how many Crappies teams have collected over the years, as that would be Rong. However, this week’s Crappie winner, TRiM MyT Bastards has amassed a -15 star rating in the Trophy Catalog on the website all time. FYI. Key Observation: MStafford can’t carry this team…can he? LFFL  – Week 2 Recap: Mahomes-magic! !